You may have been surfing the internet looking for some golf tips and that elusive quick fix tip that will make you a more consistent golfer. The game is difficult and if you have been at it for a while or are a beginner, you would have noticed the enormous amounts of inconsistent information on the game of golf. 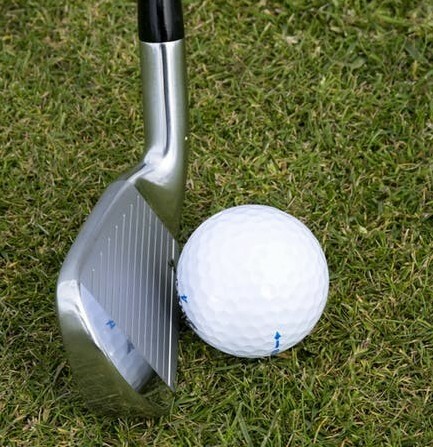 Information on how to improve which mainly involves theories on the golf swing which can be subjective and related to a golfers own personal experiences. I can relate, but I feel I have discovered a coaching program that simplifies the learning process and makes learning the golf swing incredibly easy. I have played a lot of golf in my time and have been down just about all the paths most golfers try to improve their games of golf. I first joined a private golf club back in June 2003. Prior to this I had undertaken tuition and was looking for all the Golf Swing Tips that I could get my hands on. I had about ten golf lessons with a golf coach and began my journey playing competition golf off a 16 handicap. It is only until recently that I have discovered that the game is actually quite simple if we are given the correct training. Minimal Golf Swing Tips are needed and with the correct training. Trying to keep yourself golf fit is really the only thing golfers need to improve at a rapid pace. Correctly fitted golf clubs will also help, but once that has been sorted, learning how to swing a golf club in a synchronized way with the body is the only way to improve rapidly. Prior to starting golf I always thought that most golf instructors would be pretty consistent with their ways of teaching the game. Get a coach, improve and this definitely did work, however, I feel that my game could have improved much more if I was taught to swing the golf club in a synchronized way with my body at an early stage. I don’t know exactly how many golf lessons I took (around 30) but within the first two year period, my handicap had gone from 16 to 4. As a young man in my early 20s that used to practice a lot, I go back and credit this improvement to having a decent work ethic and pretty good hand-eye coordination. The coaching I got definitely did help, but I would have periods of times when I simply was not hitting the ball well and short game saved me. I only ever had 3 short game lessons and a total of around 61 full swing lessons over four years. You will notice from the statistics that I have kept from my journey that one particular stat doesn’t really improve. I have kept statistics for 298 competition rounds of golf and will be doing an average for my journey of improvement over a four year period. I was keen to improve so I would practice what I was being taught a lot. For a four year period I would practice for around ten to twenty hours per week including golf comps and had a total of 61 golf lessons which I kept records of. My goal was to become a trainee golf professional so I would put in a lot of work in all areas of the game. I joined a private golf club in June 2003 and was getting regular coaching to try and improve. I was definitely keen to get to a single figure handicap at this stage. As you can see from my scores I managed to half my handicap in just under a year. I did however, take a total of seventeen golf lessons in this period and was practicing between ten and twenty hours per week. Being fairly new to competitive golf and starting off a 16 handicap I struggled with the consistent ball striking needed and would hit my three wood off most tees. Putting was also a little inconsistent as was the short game but I did notice I was able to get around the golf course better. I was working on getting into specific positions in my golf swing with a coach and would practice, practice, practice. Little did I know that there was a thing that gets missed that was never ever mentioned to me in all years of getting coached. If you ever watch the golf on the TV you will notice that no players swing the golf club in the same way. Everybody has their own unique golf swing. Just look at how somebody with what critics describe as the (worst swing on tour) produced a round of 58 in a tour event in 2016. I did finish this period off an 8 handicap which I was pretty happy with at the time. I definitely feel now that looking back I could have improved a lot faster if I had of been using an online training program that I have recently discovered. This would have helped with consistent ball striking which I have always struggled with despite all the golf coaching. All the traditional Golf Swing Tips have never really allowed me to hit the golf ball with Speed, Safety and Strength. Here is a link to Part 2 of my Golf Practice Journey.